I get emails asking me how to get started with the digital nomad lifestyle all the time. So I thought I’d write a more detailed blog post with personal advice on the best ways to get started. In that case I recommend that you stop reading now. We only take those pictures to show off anyway. The sand will destroy your laptop and sometimes it’s way too hot to stay productive. The reality is a bit different. Sometime we need to escape to dark hotel rooms and empty beach bars just to find a good WI-FI connection and when we really need to get work done we do our best to stay as far away from tourists as possible so that we can focus. In fact, productivitiy as a digital nomad can be quite a challenge. However, working online allows us to travel the world and see many amazing places in the world. We can live and work anywhere we want and there are many more advantages why you should consider going that route. Not too bad right? And the good thing is, becoming a digital nomad can actually be a lot easier than you think (even if you don’t have a lot of skills to work online… yet). The first thing that we need to get out of the way is that everyone reading this post will be in a slightly different position. Many of you will probably already have the right skills but just need to do a better job of selling them, others might not even have an online skill at all. So there really isn’t just one solution that will work for everyone. However, this is a special post written for those of you who are just starting out and beginning to learn online. I hope it will give you a few new ideas and help you to decide on the next steps you’re going to need to take. Plus it should give you a better idea of whether this lifestyle is right for you. What’s a digital nomad and why it’s easy to become one! There are so many types of digital nomads that it’s actually hard to come up with just one description. However, what they all have in common is that they spend at least a few months of the year abroad, change their destinations frequently (usually every few weeks but can stay up to 6 months), and earn a living while working online. One thing you need to remember though is that the words ‘digital nomad’ and ‘location independent’ often get mixed up, but there is a huge difference. In reality not every digital nomad makes enough money to be able to live and work anywhere in the world. While you’ll be fine running your business and enjoying a good quality of life as a digital nomad for less than a $1000 a month. You’ll be restricted to low cost of living countries in South East Asia and many other destinations which you’ll find in the destination guide. You’ll need a lot more than that to become completely location independent and be able to run your business from places like London, Munich, or San Francisco. NEW: Join the web•work•travel community – Connect to digital nomads around the world, get inspired and learn what it takes to work and travel. How to Become a Successful Digital Nomad: The Complete Guide – Learn to work remotely while traveling the world. Taught by a Remote Year Alumni. The Modern Digital Marketing Master Course: Your New Career – From beginner to online marketing expert. Grow your own successful digital marketing business from scratch step-by-step. You might think that you have no skills to work online but you’re probably wrong. Already knowing how to type and work with a PC could be enough to get you started and land you a simple remote job that could allow you to work from anywhere within a few weeks. It’s even better if you use some of your knowledge in other fields and combine them. The truth is that you often might not be able to use your current knowledge when starting out as a digital nomad and feel that you’ve wasted your time studying the wrong skills. That can be the biggest trade off when opting into this lifestyle and you can only decide for yourself if it’s worth the effort. Before outlining some ways to become a digital nomad I’d also like to give you a few more ideas about the good and bad things about this lifestyle. I’ve written about the benefits of working online and travelling in detail here, but to sum it up there are three major reasons why people decide to become a digital nomad. One of the best things about being a digital nomad is that you don’t need to generate a lot of money to get started. If you choose to spend your time in South East Asia, or most of the destinations in the workation guide, you’ll be able to enjoy a great quality of life for around $1000 a month. You’ll have to work a lot harder and make a load more money to achieve the same quality of life in most western countries. As explained above there’s a big difference between location independence and being a digital nomad. However becoming a digital nomad can be a great step towards building a location independent business. That’s one reason why many people move to digital nomad hubs with a low cost of living like Bali or Chiang Mai. These are great places meet other digital nomads, collaborate, and learn from each other. Being in an environment like this will mean that you’ll have a much better chance of building a location independent business or start-up than trying to do it alone from home. If I had tried to build a location independent business back home in Germany instead of South Africa the salaries would have been way too tempting and I would probably have a 9-5 job in the tourism industry right now. In Cape Town, where I lived at that time, I needed less money to enjoy a good quality of life. That’s why it can give you extra motivation to build a location independent business abroad where you can enjoy a better quality of life on a lower salary than in your home country. Finally, becoming a digital nomad allows you to travel the world. Once you’ve figured out how to stay productive you can reward yourself and go on workations to many amazing countries around the world. Want to escape the winter in Berlin and learn to surf in Bali, or work from Rio de Janeiro for a few months? You can do whatever your budget and workload allows you to do. As good as it sounds to travel the world and live in amazing places, you also need to keep in mind that this lifestyle is not going to last forever! I’m starting to see a trend of digital nomads returning to their home countries. Even those that have lived and loved the lifestyle for many years now. Some people work and travel for 6 months, others for 10 years but none of us will do it forever. Keep this in mind before you spend all of your time and energy taking this path. If the only reason you want to become a digital nomad is to travel, a one year world trip as a backpacker can sometimes be a better option. It’s a lot less stressful and really doesn’t have to be that expensive. At one stage in our life we all want to have some kind of homebase/constant comfort zone we can eventually return to, which I’ve explained in more detail in the lessons I learned in four years as a digital nomad blog post. That’s why it’s so important that you actually take the time to build a business that gives you true freedom and enough income to live anywhere you want. Because in the best of the both worlds you should be able to have both: A real homebase in one of your favourite places and the ability to go with your location independent business on workation whenever you feel like it. Still interested? Ok, let’s talk about the great ways to achieve this lifestyle quickly, because you can probably get started faster with it than you think! You might think that the best route to becoming a digital nomad is by taking the entrepreneurial road and starting your own online business. This will undoubtedly give you the most freedom but it’s very difficult to succeed – especially if you have don’t have a lot of experience. And in fact most digital nomads don’t start out like this, instead they get started with remote work or freelancing. This means they are getting paid to gain more experience and skills. Plus it’s usually quite quick and easy. Overall there are many different ways to get started as a Digital Nomad. I believe that anyone who really, really wants a life of more freedom and less 9-5 can do this. Keep in mind that you could get started within a matter of weeks or you might require more time and effort. How to Dominate Freelancing on Upwork – Win the jobs you want, and earn big on freelance websites. A business finds itself in need of a part-time job/freelancer. They post the job description, time allocation and budget on to the job board. From there, freelancers from around the world who have a profile with these sites, will see the ad on their job board and choose whether or not to apply for the work. If the applicants apply they will then get in touch with the business through the particular website with their portfolio and a cover letter motivating why they are a good fit for the job. After reviewing the freelancer’s cover letter and portfolio, the business will decide if they agree they are the right fit and then they move on to complete the brief and work as any freelancer and client would. Usually, these websites take a slight percentage commission of the agreed upon rate for the work, and everyone is happy. It’s that simple. There are so many professions being catered to on these sites, from writers, marketing directors, video editors to human resources managers and even legal whizzes. If you can do the work remotely, they will be included in these sites. If you don’t have any professional experience or qualification that is fine too. You can apply for jobs which require beginner, intermediate or advanced levels of competency. There is a growing need for virtual assistants and it’s a great place to get started. Essentially you can perform the role of a personal assistant or secretary for people around the world who require assistance with general admin who doesn’t require you face-to-face. This commonly involves scheduling, itinerary organizing and day-to-day appointment reservations and bookings. The pay is decent and differs from client to client but people often assist a few clients as it is generally not considered a full-time gig. Work From Home as a Virtual Assistant – Learn how to launch your own business providing services via online technology. If you’re looking to get a bit more hands on then you may want to consider transcription work. This involves viewing video footage and writing down every word that is said, usually in an interview setting. It’s a bit tedious but super simple and easy to get through. You can find so many sites online who require transcription services and the pay isn’t half bad too. Another great way to get your foot in the door of the freelance world is proofreading. There is so much written content being produced and released daily which means the pool for work is only increasing, which is great. You’ll be primarily looking out for spelling and grammar issues and sometimes content. It’s not for everyone but if you enjoy reading up on loads of different and interesting things you might as well get paid for it. 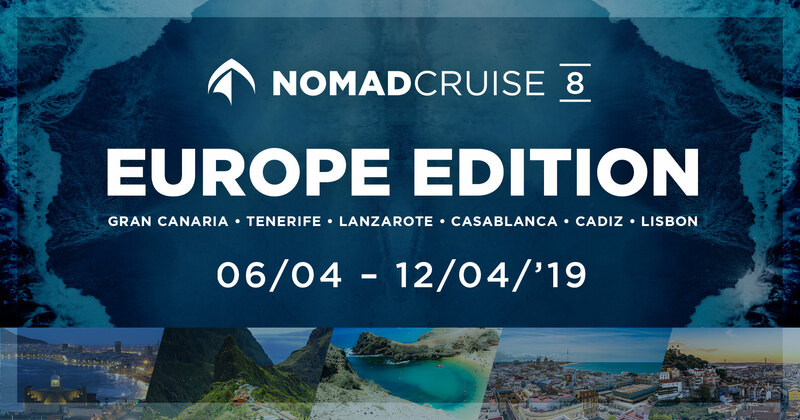 A super fast, but also risky, way to become a digital nomad is to simply buy an existing Online Business that already generates money or, even better, a passive income. You can buy businesses on sites like Flippa.com. You’re able to see how much money the site already generates and its monetization strategies. This would generate enough income to get started as a digital nomad. I hope this article has helped you gain a clearer picture of the possibilities of becoming a digital nomad. Living this lifestyle can be a truly life changing experience, and you can get started way faster than you might have thought. If you really want to work and travel the most important thing right now is to TAKE ACTION and start to work for that goal. If you take one step at a time and always keep in mind that your ultimate goal should be to not just become a digital nomad but create a 100% location independent business so you can return home whenever you want, your going to have the time of your life. So what are you waiting for? Pick the right skill to work online and start to work while travelling the world. Join the web•work•travel community to connect and learn from digital nomads around the world. Like the honesty of this article. Danke für Deine Worte Christoph! Wünsche Dir viel Erfolg auf Deinen Reisen! hey thanks for the great tips…do you know enlace.com? i find a lot of interesting announcements but soo many people reply i have the feeling that in order to find an online job you really need to have a specific skill especially in IT. if you have a general background like myself it is not easy. Can I add an 11th way to become a digital nomad? Buying a company already set up and designed/optimised for Digital nomad. I am wondering if I create a website for that particular type of sales or not….but do have/know already some companies ready to buy and fully tailor made for Digital nomads. I think it’s a great idea. Would def make sense to sell a business that is already working. You could buy those websites on sites like https://flippa.com/. I’m sure setting up a site where you would sell sites for people interested in the digital nomad lifestyle could work! Thanks Johannes. Didn’t that website and let me try to sell there. This said the concept is a tiny bit more advanced, as this is more than selling just a domain name, I mean there is suppliers, workprocess, banking etc..all involved. Anyway, will let you have a feedback on this goes and if I can sell. Hello Johannes, congratulations for a very interesting article. l am just about to start my own life changing experience of becoming a location independent mumpreneur. I have one question though, what about legislation? where do we pay taxes if we do not stay more than 6 months +1day in a particular place? I am just get intersting in this new lifestyle, I am very young and I love travel I all ready been in Shanghai. the thing is a friend of mine tell me about this “ciber nomads” that really convence me to get in to, difficult for me to understand how it works yet still thinking I have no idea how to start! I studied International Tourism Degree in Business Administration, I would like to get more information about it for start as soon as possible please!!! Each year as we become more global and mobile, the number of expats in and from many countries grows. It’s a movement and fascinating stories emerge and motivate us. These essays from 31 expats of various ages in many locations explore lifestyles, answer practical questions, and provide insights and inspiration. languages and get to know new people? I’ve been reading a couple of blogs about digital nomads and this post is very precise. I love to travel and just launched my new blog http://www.panayanon.com I also wanna try to become a digital nomad and still learning on how to be one. these are great tips for becoming a digital nomad! I think you have a strong point in the fact, that many roads can lead to the same goal. You don’t necessarily need to stage an online business to work as a digital nomad. In fact, we also have one freelancer working for us who travels the world… But what’s necessary is to have the important online tools ready for you. That can mean communication via Skype, getting your money organised via Online Banking etc. And it also means getting your finances somehow done. Here we from Debitoor offer a tool, that might be interesting for you: And easy online invoicing software: https://debitoor.de Perhaps this can be a good addition to your article? I always had a passion for travel, but that would not be the main reason for being digital nomadic. I currently have an office job thats getting me nowhere and not allowing me to build new skills (we’ve been under a freeze for 10 years) so if there’s no room for advancement, there’s no point in me being there. My salary is not high enough to stay afloat, and I already have established other streams of income, including freelance writing. I have a travel blog which I started about 6 months ago, and have worked on monetizing it with Google adsense and affiliate links. I have submitted some of my recent travel articles to some magazines, and hopefully they will get published. Eventually I hope to be able to take up travel writing/blogging full time and leave that dead-end office job! I post this message to share with you my digital nomad project. Since we embrace this new way of life with a couple friends, all of us encounter difficulties finding a good short term rental accommodation in Bangkok and in Thailand in general in our personal case. So based on our own story we thought that we were not the only one in this situation and we decided to start our own marketplace for short term rentals for digital nomads. That’s been a couple months that we are working on it and we are proud to say that we started to list a certain amount of available rooms who fit our needs. We are starting from Bangkok and Asia for now, but our goal is to provide rooms who fit the need of a digital nomad everywhere in the world and to expand fast in each city. We already have 50+ accommodations listed on the platform and a good traffic growth ! So I share this project to you as it would be awesome if you can give me some feedback about my short term rental platform. I am looking forward to hear you guys ! After reading this article you can be a super Digital Nomad, following your dreams and living the life always dreamt off. Choose your passion and make a living out of it. Travelling the world is exciting and thrilling. As a firm that helps many Americans living abroad with tax preparation and planning, we see first-hand how possible it is to become a digital nomad. Owning an online business and freelancing are two common ways our clients live this lifestyle. In today’s world, where you can use technology to work from anywhere, the only thing holding you back is your imagination. What about “Silver Surfers” – any opportunities for us??? Hi Johannes! 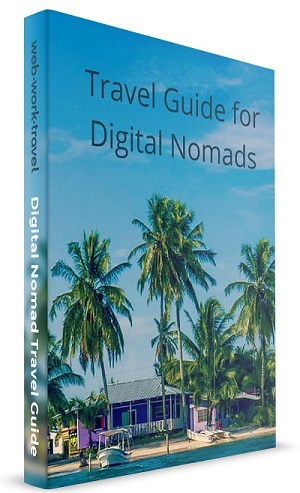 Thanks for the tips, my favorite part is the list where you share different options of how to become a digital nomad. There’re so many opportunities out there!